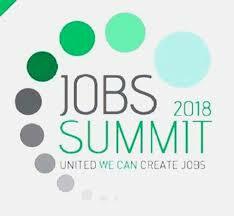 Following a two-day successful jobs summit convened last week by South Africa’s National Economic Development and Labour Council, cabinet has said it welcomed the practical interventions that emanated from the gathering. The interventions included the commitment to buy local products, more aggressive approach to increasing exports, interventions in agricultural value chains and support for small and medium enterprises, the cabinet statement said on Thursday in Cape Town. The outcome of the summit followed an announcement of the economic stimulus and recovery plan, which seeks to restore economic growth and create much-needed jobs in the country, it added. Cabinet also announced that newly appointed Finance Minister Tito Mboweni would deliver the Medium Term Budget Policy Statement (MTBPS) in two weeks’ time. The MTBPS is set to reveal adjustments to the national budget to ensure fiscal sustainability.